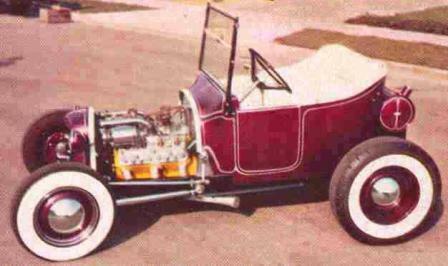 TBucketPlans.com originated in 2005 as a personal blog extolling the virtues of T-Bucket hot rods, which I became a fan of in the Spring of 1957, when my 8 year old eyes were transfixed on a full page photo of Southern California rod builder Norm Grabowski chowing down on a burger while seated in the coolest car I had ever seen! The flames and skull shifter were awesome and the hopped up Cadillac engine with that wild exhaust hanging out there for all to see was mind-blowing! 40+ years later, I met Norm and got my personally autographed copy of the photo that started my lifelong love affair with T-Bucket hot rods. Shortly thereafter, I also discovered the fascinating T-Buckets of TV Tommy Ivo, Marty Hollmann and Bob Johnston. 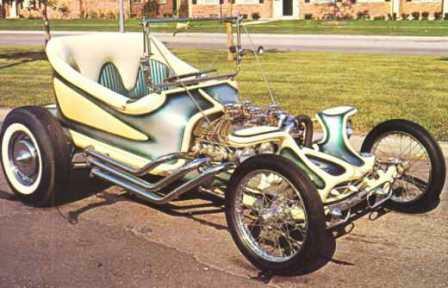 Then, when Ed “Big Daddy” Roth’s T-Bucket inspired Outlaw appeared I became hooked for life on T-Bucket hot rods. 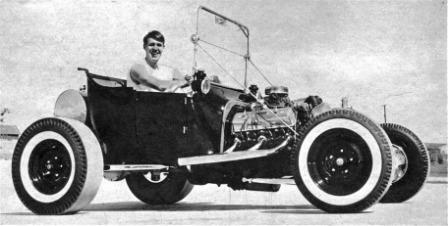 On New Year’s Day, 2009, I blogged about the undiscovered genius of Chester Greenhalgh who had written the then out-of-print “How to Build a T-Bucket Roadster for Under $3000” and not too long after I developed a friendship with Chester which has led to our partnership in marketing the eBook version of his legendary T-Bucket “how to” here at TBucketPlans.com. What we do here is a labor of love, the proceeds of which go to help support Chester in his retirement and me in my own long-term T-Bucket construction project. It’s done after hours and on the weekends, but we are as dedicated to total customer satisfaction as any retailer you’ll visit. We hope you enjoy our many and varied posts about the history of T-Buckets, about interesting and/or unusual T-Buckets, and about T-Bucket events. We try to post new content as regularly as we can and hope that you’ll either subscribe to our RSS or email feeds so you’ll be updated on new material. 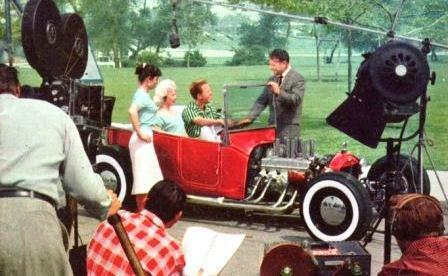 We also encourage you to follow us on Twitter and Facebook where you’ll see even more T-Bucket material of interest. So, kick back and enjoy exploring our little, but growing, site. If you see something you like, we encourage you to tell your Internet friends and/or post a link back to it. And while you’re at it if you invest $19.99 in a copy of Chester’s T-Bucket “how to” eBook it’ll be the best hot rod building investment you’ve ever made. Enjoy your time here.